Qwik-Lok™ Quick Connect Fittings | U.S. 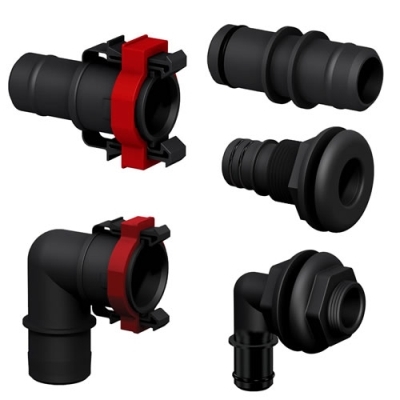 Plastic Corp.
Qwik-Lok™ is a quick connect marine plumbing system and method that can provide increased productivity, higher quality and value while simultaneously reducing costs. The heart of the Qwik-Lok™ system is the innovative Qwik-Lok™ socket that fits industry standard marine hose in popular 3/4" and 1-1/8" sizes. Qwik-Lok's™ numerous benefits make it much more than just a quick disconnect plumbing system. Engineered to be "Simply Better", Qwik-Lok™ fittings are installed in place of standard barbed fittings. Qwik-Lok™ sockets are installed to the hose ends so no more crimping or tightening a hose clamp at arms-length in hard to reach areas. Sockets can be installed at bench or on deck and then snapped into place. Qwik-Loks™ eliminate the need for silicone and other sealants at hose connections. Clamps are required for these fittings. 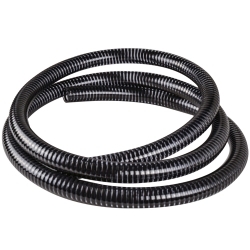 Qwik-Lok™ fittings allow hose to swivel and relieve stress from pump outlets and other fittings. They also have a superior O-ring seal. Installation: With the locking ring back out of the locked position and into the neutral position, simply push that end of the hose onto the fitting until the socket snaps into place, then push the locking ring into the latch and locked position. To remove, just grasp the same locking ring and pull. The latches will automatically disengage and the hose will be free. The only tools you need are one thumb and forefinger.